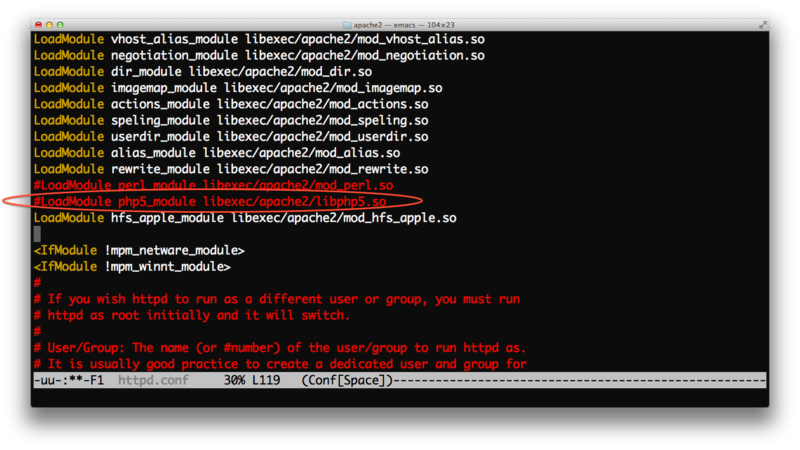 Like the Apache 2 server, PHP comes pre-installed in Mac OS X, version 10.8.x, but, by default, is disabled. The following is a tutorial on how to enable and use PHP with your Apache server on Mac OS 10.8.x. Note: before proceeding, make sure the root, or super, user account is enabled. Note: The dollar sign character ($) included in the following command line examples is used to indicate The Terminal’s prompt. It should not be typed in any of the directions listed below. Using your keyboard’s down arrow key, scroll down the file — about 120 lines — to the #LoadModule php5_module entry. Note the hash character (#) at the beginning of this line. That character serves to comment out, and thus disable, the line on which it appears — in this case, PHP. You’ll need to remove the # character to enable PHP. Figure 1: The entry in httpd.conf containing the disabled PHP5 module entry. Figure 2: The hash character removed from httpd.conf in order to enable PHP. Save the file. Type control + x s. That is, hold the control key down and simultaneously type x followed by s.
Exit emacs. Type control + x c: hold the control key down and simultaneously type x followed by c.
Restart Apache. Note: anytime you make changes to httpd.conf, Apache, AKA the web server, must be restarted. Open a browser and point it at localhost/~YOUR_USER_NAME/info.php, where YOUR_USER_NAME is your Mac username. If you don’t know it, type whoami at The Terminal. 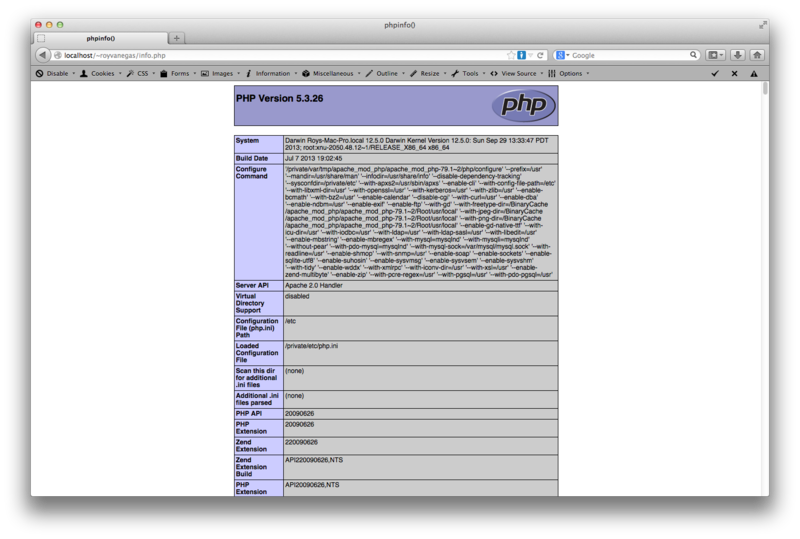 Figure 3: The output of info.php in a browser.